David Schermann is an artist based in Vienna & Burgenland, Austria. 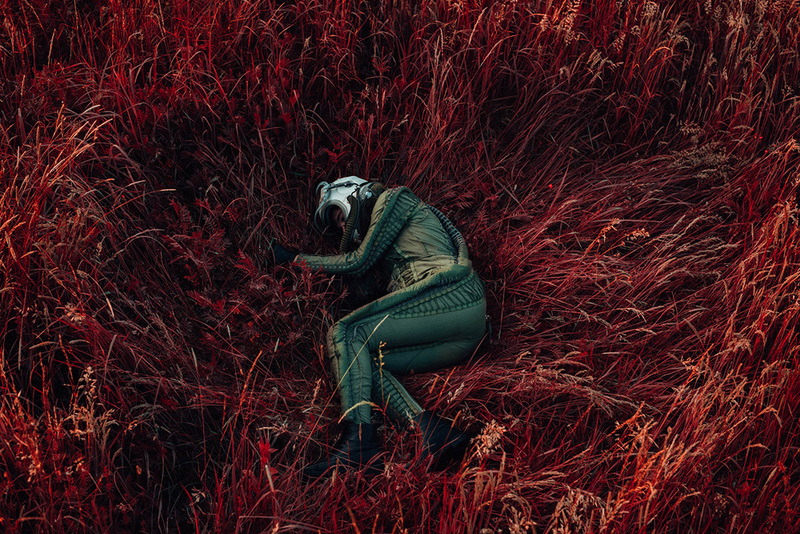 In his project “Bigger Than Us”, Schermann brought a Russian spacesuit deep into the mountains of Vorarlberg, Austria. Digitally painted red, the sweeping mountains and valleys take on an otherworldly quality, like a deserted mirror of Earth. 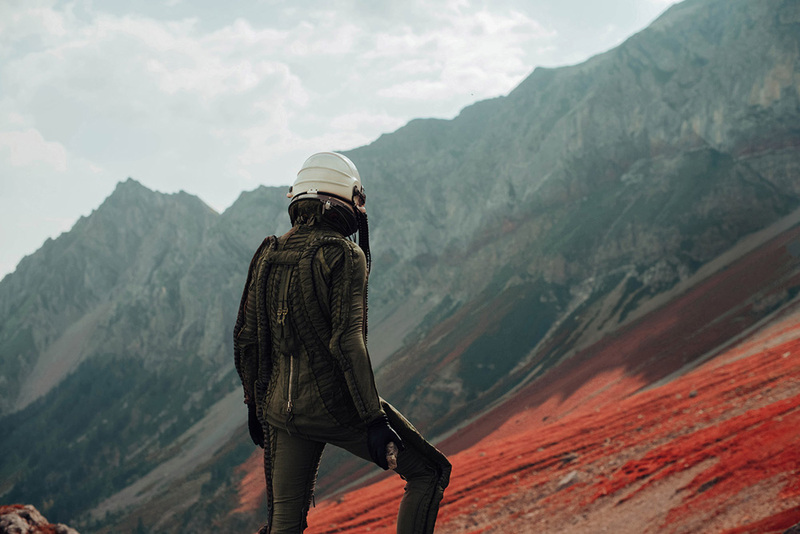 Both familiar and alien, the setting provides the perfect setting for the lone cosmonaut to wander and contemplate the vastness of the universe.